I just wanted to start this post off with a massive thank you, I have been so grateful and overwhelmed with all the support I have had from my previous post. I have had so many messages off people showing their support as well as reaching out to me about similar issues they're going through. I'm always here if anyone needs to chat. 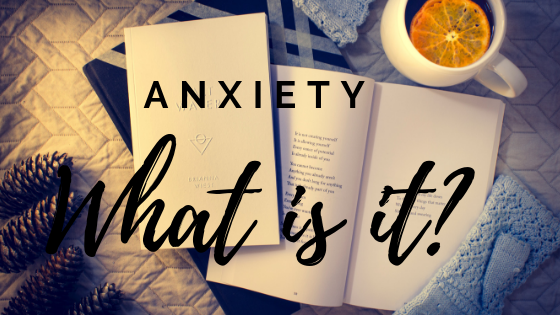 I've decided to write my first post about is what anxiety is. Reading about anxiety has been one of the biggest helps for me - learning about what it is and what causes it. Being able to understand how anxiety works and exploring all the symptoms has bought me clarity and put my mind at ease. 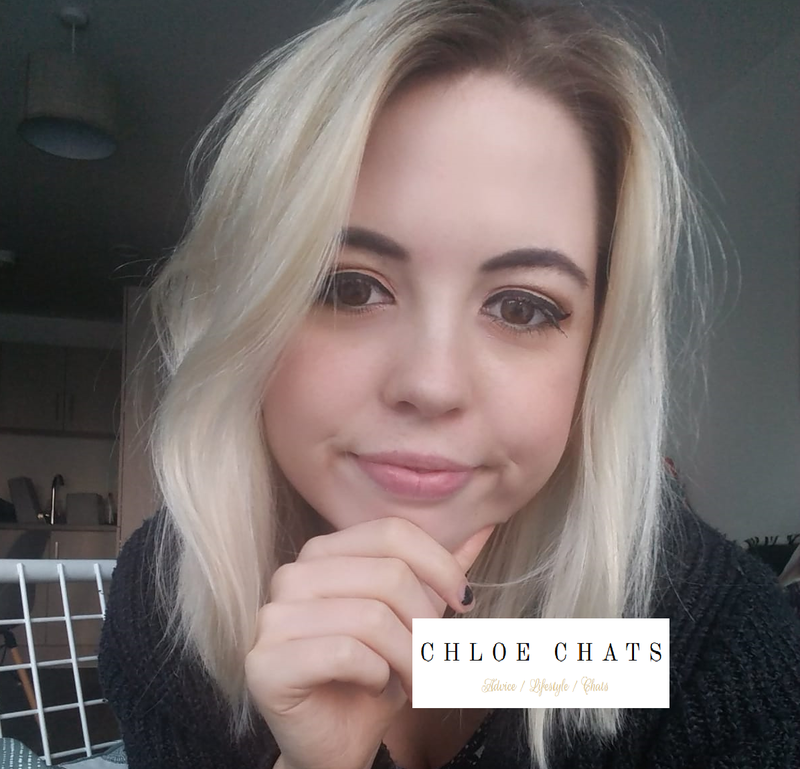 One of the worst things anxiety did to me was make me feel physically unwell, I got cold-like symptoms, I vomited a lot, I felt sick every time I tried to eat, constant fatigue, I got chest pains, I had heart palpitations, panic attacks, migraines, I even had skin problems - for a while my brain was so full of worrying that I had so many different things wrong with me, and little did I know it was all down to anxiety. 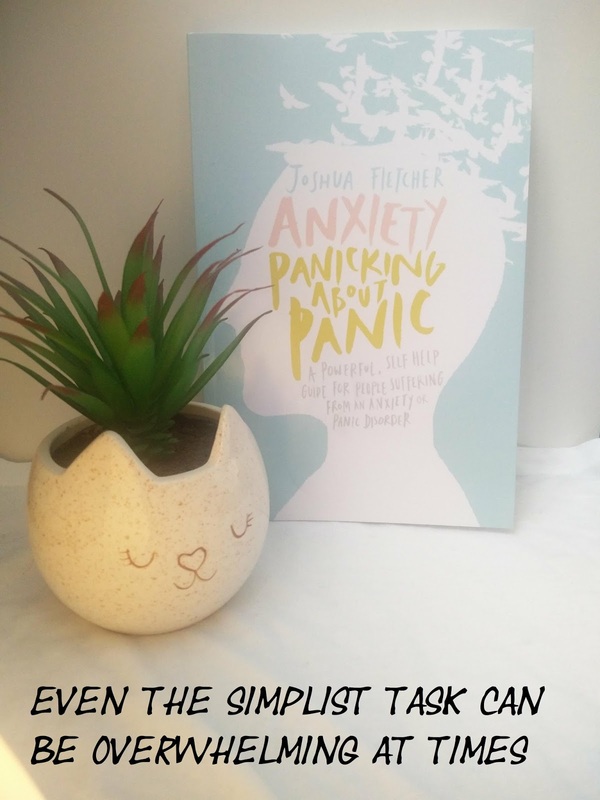 Learning that anxiety was the cause helped ease my mind a little, instead of constantly worrying about potentially loads of different illnesses, I only had one thing to worry about - anxiety. I still suffer with many of the symptoms listed but they're not as over bearing because I don't have a hundred worries on my mind, just the one. 1. Heart palpitations - This is something I have suffered with pretty much all my life - and yet I've only just realised it's because of anxiety. I never really questioned why I got them, when I was younger whenever I had heart palpitations it would normally lead to a panic attack - it used to terrify me. Now they don't cause many panic attacks for me but it still makes me feel very uncomfortable. If you're unsure what heart palpitations are they're kind of like chest flutters, like your heart skips a beat and then quickly tries to catch up,you become self aware that your heart is beating irregularly. The most common reason for this is anxiety, feeling stressed or because you've had a lot of caffeine, nicotine or alcohol - which is why it is often recommended that if you suffer with anxiety to not drink so much caffeine, alcohol or smoke as much. 2. Abdominal and chest pains - This could be pains or the tightness in your chest or stomach. I often get chest pains, sometimes it can be so bad that I have to hold my chest. It can often lead to panic attacks because you fear that you have something wrong with your heart, your mind starts believing that you're going to have a heart attack. I find it's quite worrying actually, if you search 'chest pains' into Google it comes up with the worst possible reasons and for someone who suffers with these as a result of anxiety searching for answers on the internet is probably going to make you feel even worse. Obviously experiencing chest pains can be a dangerous thing so it is wise to go to the doctors to make sure. 3. IBS is another symptom you can experience. Obviously this can be it's own issue but it is also common for people who suffer with anxiety to experience these symptoms. This is when you feel constipated, indigestion, trapped wind, or gut and intestinal pains etc. It's not directly caused by anxiety however feeling stressed or anxious can affect your immune system which can then be a trigger to IBS. 4. Derealisation - This is something I found to be worst and still feel uncomfortable with when it happens. It's when you feel detached from your surroundings, you have difficulty in focusing. It's strange, it's like you're there in a room but you don't actually feel like you're there - almost dream-like. When I was at my worst I had this a lot when I'd be at work, but when it happens it's hard to shake myself out of it. This is probably the one I still struggle with the most - but I'm working on it. 5. Head - headaches that may last longer than usual, dizziness or vertigo etc. - these are all symptoms of anxiety. Of course you can get these symptoms because of other things but they can also link to anxiety. I suffered with vertigo not too long ago, every time I moved my head to the side I felt dizzy. This was one of the last physical issues I had when I was going through the worst of my anxiety, again, I didn't think it was related to anxiety but having read about it I've come to understand. 6. Energy - Feeling constantly tired, exhausted from doing something so little, I'm getting a lot better with this. A few weeks back I was terrible with feeling tired, I would come home from work and go straight to my room to sleep and I'd wake up for dinner some evenings and then go straight back to sleep till the morning - I had all that sleep and I would wake up in the morning feeling shattered, it was an endless cycle. When feeling like this you often feel like you cannot focus on life because of how tired you feel. This symptom often creates that same never ending cycle feeling. You can feel tired from anxiety, but also be anxious about not sleeping, this feeds in the cycle. Those are a few of the most common physical symptoms that an anxiety sufferer can deal with - I found it quite surprising personally, it's crazy that anxiety can do so much to you. In simple terms as Joshua Fletcher explains "what has happened is your body has arrived at a state of chemical imbalance as a result of trying to deal with high amounts of stress and operating using a poor mental routine. In other words, unexplainable anxiety is your body's way of telling you that it has simply had enough and something has to change." The most common feeling someone would get that suffers with anxiety is feeling trapped or stuck in an endless cycle worrying about thoughts or constantly feeling panicked. When we start constantly worrying we end up dwelling on the fact that you're feeling that way and start panicking about why and that's when anxiety really controls you and takes over your mind. This is my mentality at the moment and this is what then can cause all those physical symptoms I mentioned above, this is what can make you spiral downhill fast. Someone who suffers with anxiety can often feel like it's tailored to the individual, the longer these symptoms continue we start to believe that there's something wrong with our brain - this is why learning about anxiety and talking to others is so important. A few months back I would get in such states where I would be crying my eyes out because I felt like there was something wrong with my head, I thought in simpler terms, I was going crazy. It has been such a relief for me personally to be able to identify and relate to the symptoms which can occur with anxiety. Being able to understand that I was experiencing certain symptoms because of anxiety has been so important in easing my mind and helping me to get better. A lot of my understanding of this is from reading 'Anxiety Panicking about Panic' but Joshua Fletcher which is where a lot of my information has come from. Panic Attacks and What Causes Them.